Ladies and gentlemen of the Horde and Alliance, synchronize your wardrobes and prepare to do battle. 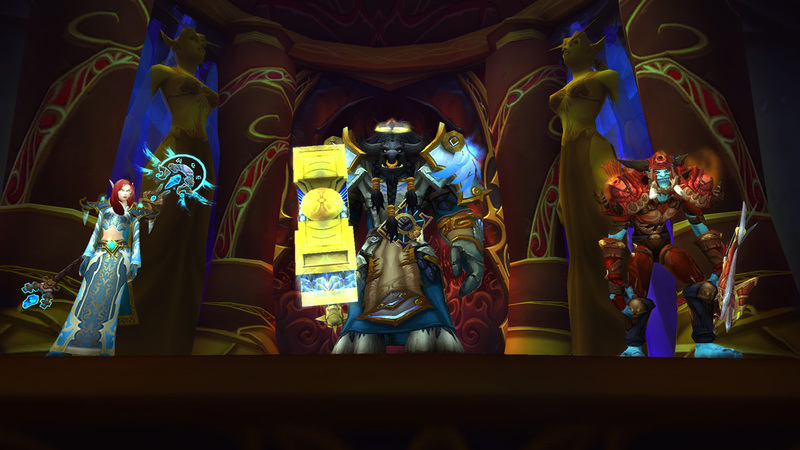 The Trial of Style has arrived, and it’s time to put your transmogrification skills to the test. Where: Queue for the 6-player scenario at your friendly neighborhood transmog NPC. What: Contestants will have two minutes to create transmog sets from items in their collection based on themes presented in the scenario. Two players at a time will be pulled up on stage to strike a pose and show off their creation—leaving the remaining four to vote on just who of the two has managed to capture the theme best. Collect all 12 Ensembles to keep adventuring in style. You can also use your Trial of Style Tokens on props to supplement your chosen Trial of Style ensemble. These props are consumable and will only appear when you’re on stage, but will last through the entirety of the competition. Vendor extraordinaire Nellie Voguesong sells shirts and tabards in the Trial of Style, just in case you forgot to bring one with you. Need a little extra support while you’re on stage? Don’t worry—we’ve got you covered. Purchase a reward Letter From an Admirer, which you can use to recruit a fashion aficionado to cheer you on during the competition. No peeking! It comes as no shock that you’ll be properly smocked before the competition begins. Strike a pose and do your little turn (on the catwalk; yeah, on the catwalk). Once the glitter settles and the votes are tallied, First Place, Second Place, and Third Place winners will be awarded. Don’t worry—even if you don’t win, there’s always the Trial of Style Consolation Prize. These prizes contain Trial of Style Tokens, which can be redeemed for special transmog gear in Dalaran. 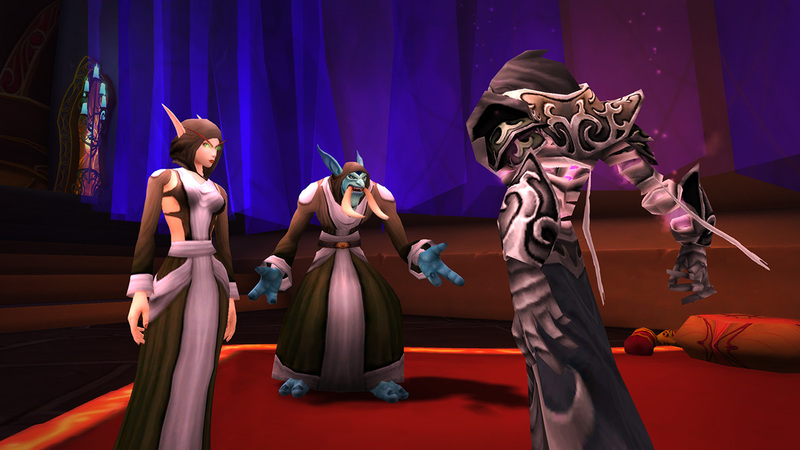 Fashion-conscious citizens of Azeroth can also take advantage of transmogrification and barbershop services for free during the Trial of Style. 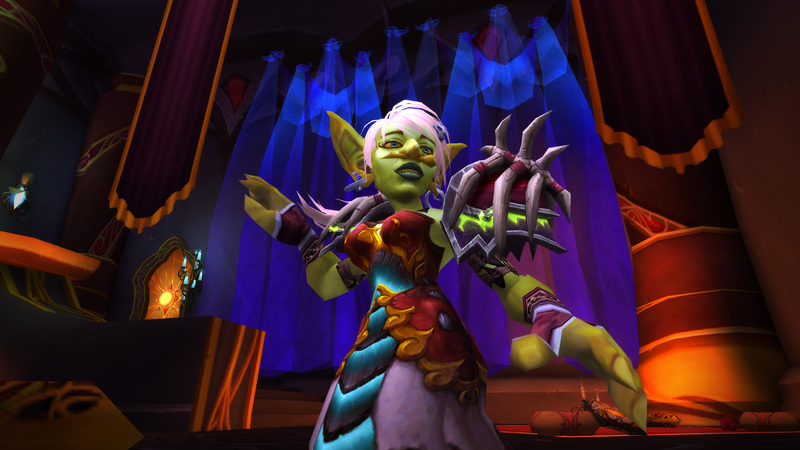 Even if you don’t participate, you can adjust your hairstyle and transmog for no gold cost while the event is active.